The discovery process is important for both sides in a lawsuit. It is a pre-trial procedure that allows the parties to obtain evidence from each other. Depositions. A deposition involves taking an oral statement from a witness before the trial (while the witness is under oath). The point of a deposition is to find out what a witness knows and to preserve his or her testimony. Written interrogatories. Written interrogatories are a set of written questions that one party requests another to answer. They are typically used to help determine what facts should be presented at trial. The person must answer the questions under oath. Production of documents or things. You may also request that the other party produce certain documents or other physical evidence, including electronically stored information like emails, phone records, photographs and drawings. You may also request permission to inspect or test tangible property in the other party’s possession. Permission to enter property or land. Sometimes you might need to physically inspect the other party’s property in order to prepare your case. In that situation you may request permission to enter the property to inspect, measure, survey, photograph, test or sample the property. For example, if you are alleging that a company negligently contaminated water running through its property and that you were injured by that contamination, you might want to take a sample from the company’s property. Physical and mental examinations. If a party’s physical or mental condition is an issue in the case, then the other party may request a medical examination. For example, in a car accident where both parties claim they were injured, either side may request an examination to substantiate those claims. Requests for admission. A request for admission asks the other party to admit that a certain fact, or application of law to fact, in the case is true. This is another method used to narrow the issues that will be presented at trial. There are also tools that can be used to block certain discovery requests. For example, a protective order (in the discovery context) is a court order that prevents the disclosure of certain information. The court will issue such an order to prevent a party from making unreasonable discovery requests. A party may also claim that certain evidence is privileged information, meaning that it is protected from disclosure. Two common types of privilege are the confidentiality between an attorney and her client, and between a doctor and her patient. An experienced attorney can help obtain the evidence you need to prove your personal injury case. 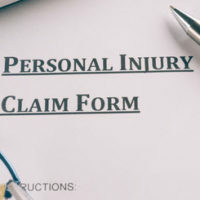 Contact a Fort Myers personal injury attorney at The Pendas Law Firm today for a free consultation if you were injured by a negligent act. Our experienced attorneys will examine the facts of your case and help determine whether you have a viable personal injury claim. We will then guide you through the litigation process, including discovery. The Pendas Law Firm also represents clients in the Miami, Fort Lauderdale, Orlando, Jacksonville, West Palm Beach, Tampa, Daytona Beach and Bradenton areas.